Devon Sillett’s first book The Leaky Story was a cracker! I loved the imagination and originality with which it was created. In Scaredy Book, whose cover and end pages are a story in themselves, attention is drawn to themes of shyness, safety of the familiar, fear of change and being brave. These unsettling emotions frequently experienced by young children, are transformed into a challenge with a solution, and a happy ending. Although Book thinks about doing new things, he feels comfortable and secure to stand back and watch as others leave the shelves and enter the world outside the library. They travel to unknown places in bags and luggage, to return creased or dirty, some with pages missing, always to leave again on a new adventure. Emma felt safe in the library too, but in a different way. She went on adventures between the pages of books she chose carefully, for she was full of courage, and curious to explore her world in every way. It was when Book made himself seen by Emma, that life shifted for them both. Emma liked the look of Book immediately. She dusted him off and took him into the sunlight to brighten up a bit. Then she took Book everywhere with her, even into the rain, to the soccer game, and to the park. When Book returned to the library, it wasn’t in the same condition that he’d left. And he was happy to let the others know all about his new imperfections; evidence of his braveness that marked him forever. 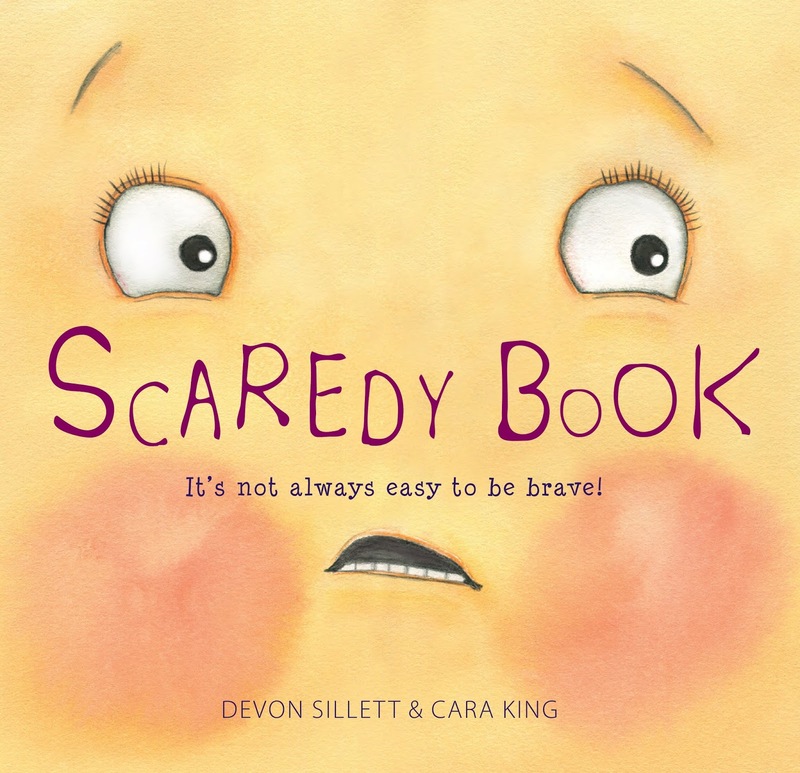 Cara King’s illustrations allow the eyes and facial expressions of all the characters, to portray the changing emotions expressed in the text. This is what I call immersive intention. Her artwork has warmth and a delicate gentleness. The delightful soft pastel colours and images are in perfect sync with the entire layout of this well-designed book.